“Working with the northern lights – to be outside when it’s dark and the skies suddenly explode – is a feeling that is hard to describe”, says Trine Risvik to the Norwegian TV-channel TVNorge. She is the general manager of the family company Tromsø Friluftssenter, and one of the main characters in the new documentary series Jakten på Nordlyset (meaning Chasing the Northern Lights) which premieres on TVNorge this week. It’s a breath-taking view when the dancing northern lights illuminate the dark winter skies. And though it looks fantastic on camera, it can’t compete with experiencing the phenomenon in real life. More and more travellers are drawn towards Northern Norway during the winter months to experience one of the most impressing displays that nature has on offer. The region has experienced a boom in visitors the last few years – with the number of hotel nights booked by travellers going up 22,1 percent between March 2016 and March 2017, according to NRK. All winter long, a group of driven locals are ready to welcome travelers hopeful of getting a glimpse of the northern lights. 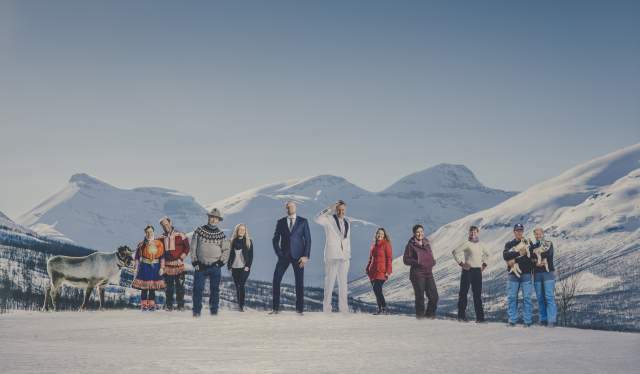 Recently, some of them have become the stars of the documentary series on TVNorge spanning 10 episodes. “95 percent of the tourists that travel to Tromsø during the winter, travel here to experience the northern lights”. 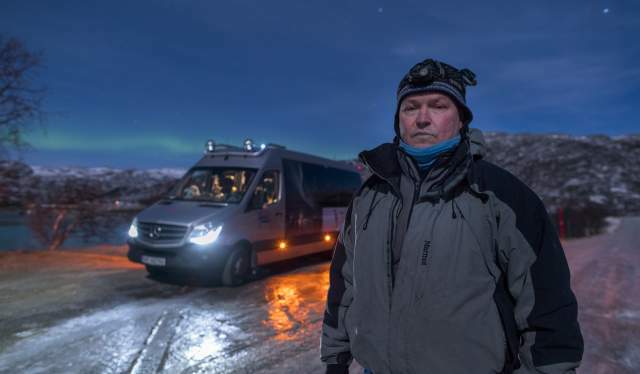 In an interview given when he was presented as one of the 12 pioneers of experience tourism in Northern Norway, Hildonen explains that the international attention started with the BBC-documentary Joanna Lumley: In the Land of the Northern Lights in 2008. Several surveys among British people have made it clear that experiencing the spectacular light show is on the very top of their bucket lists. The last few years Asian travellers are flowing into the country for the same reason. “The tourists from abroad come here especially to experience beautiful Northern Norway. 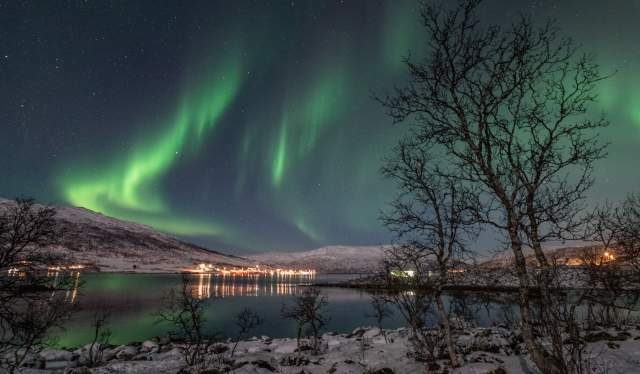 For many people the northern lights has become one of the big vacation-experiences one has to try during one’s life”, says the Minister of Trade and Industry in Norway, Monica Mæland, to NRK. Some things are difficult to control, though, and when bad weather impedes on the chances of seeing northern lights, it is especially important to showcase the Northern Norwegian spirit in other ways. “You have to be ahead of the weather at all times. You can never guarantee anything when you work with nature – in the end it comes down to how you perform as a guide and an entertainer. If nature won’t cooperate, it is the guide who has to deliver the true Northern Norwegian charm”, says Trine Risvik. Charged particles from the sun are dragged into the atmosphere by the Earth&apos;s magnetic field. The charged particles collide with nitrogen and oxygen atoms, releasing flashes of coloured light. The colour of the lights depends of the type of atom involved in the collision. The composition of these atoms varies in different heights. This is the reason for the different colours of the northern lights. Red light occurs at 150 miles and above. Green light occurs at up to 100 miles. Purple and blue light occurs at 60 miles and above, and up to 60 miles, respectively. Aurora is the latin word for "dawn" and refers to the Roman goddess Aurora. Boreas is the Greek name for the north wind.